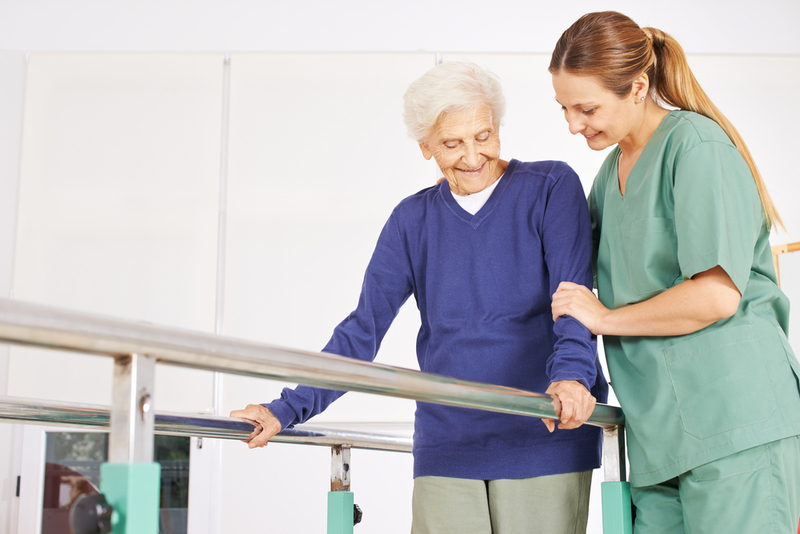 Hospital patients who need additional care after being discharged from the hospital are usually sent to either an inpatient rehabilitation facility (IRF) or a skilled nursing facility (SNF). Although these facilities may look similar from the outside, Medicare offers very different coverage for each. While you may not have complete say in where you go after a hospital stay, understanding the difference between the two facilities can help you advocate for what you need and know what to expect with regard to Medicare coverage. An IRF can be either part of a hospital or a stand-alone facility that offers intensive physical and occupational therapy under the supervision of a doctor and nurses. IRFs offer a minimum of three hours a day of rehabilitation therapy. An SNF, on the other hand, provides full-time nursing care. Patients also receive physical and occupational therapy, but the care is generally less intensive and specialized than in an IRF. Medicare Part A covers a stay in an IRF in the same way it covers hospital stays. Medicare pays for 90 days of hospital care per “spell of illness,” plus an additional lifetime reserve of 60 days. A single “spell of illness” begins when the patient is admitted to a hospital or other covered facility, and ends when the patient has gone 60 days without being readmitted to a hospital or other facility. There is no limit on the number of spells of illness. However, the patient must satisfy a deductible before Medicare begins paying for treatment. This deductible, which changes annually, is $1,364 in 2019. After the deductible is satisfied, Medicare will pay for virtually all hospital charges during the first 60 days of a recipient's hospital stay. If the hospital stay extends beyond 60 days, the Medicare beneficiary begins shouldering more of the cost of his or her care. From day 61 through day 90, the patient pays a coinsurance of $341 a day in 2019. Beyond the 90th day, the patient begins to tap into his or her 60-day lifetime reserve. During hospital stays covered by these reserve days, beneficiaries must pay a coinsurance of $682 per day in 2019. To qualify for care in an IRF, you must need 24-hour access to a doctor and a nurse with experience in rehabilitation. You must also be able to handle three hours of therapy a day (although there can be exceptions). The Medicare recipient must enter the nursing home no more than 30 days after a hospital stay (meaning admission as an inpatient; “observation status” does not count) that itself lasted for at least three days (not counting the day of discharge). The care provided in the nursing home must be for the same condition that caused the hospitalization (or a condition medically related to it). A new spell of illness can begin if the patient has not received skilled care, either in an SNF or in a hospital, for a period of 60 consecutive days. The patient can remain in the SNF and still qualify as long as he or she does not receive a skilled level of care during that 60 days. Keep in mind that some or all of Medicare’s deductibles and co-payments for both IRF and SNF care may be covered by Medicare supplemental insurance, also called Medigap coverage.